Combine all ingredients. Spray non-stick cooking oil on baking pan of your choosing. Cook at 350 for 30-40 minutes. Makes 4 servings! 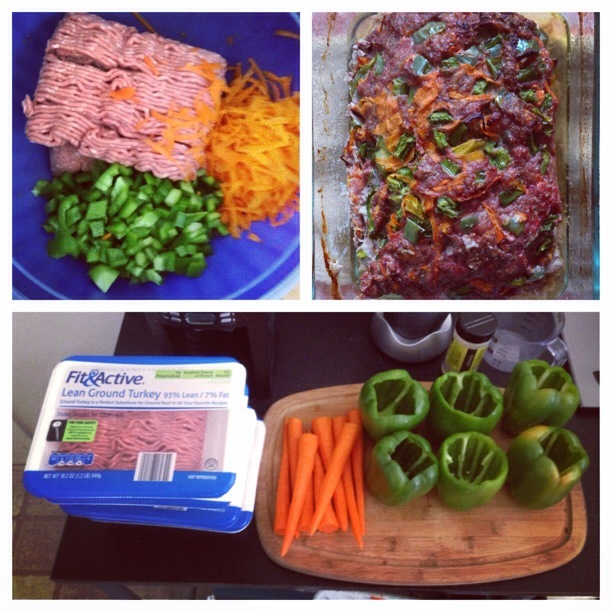 I found the vegetables keep the meatloaf very moist without the unwanted carbs that come from bread crumbs. I like to eat it with steamed veggies for dinner or fried eggs for breakfast! Contains 10g Fat, 8g carbs, and 30g Protein.